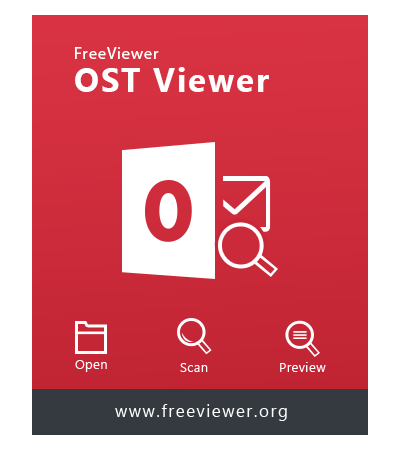 FreeViewer OST Viewer is a versatile utility that allows to examine and preview OST file in a seamless manner. With this software, one can easily view OST file data such as emails, contacts, calendar etc. without Outlook installation. The tool permits the user to read OST file even corrupt, password protected, encrypted file in a trouble-free way. One can preview OST data including emails, contacts, calendar, tasks etc. The utility provides multiple preview options such as Normal Mail View, Attachments View, Properties View. Multiple tabs provided for easy viewing experience as well as for better navigation. Each tab will help you to view emails with different perspective. 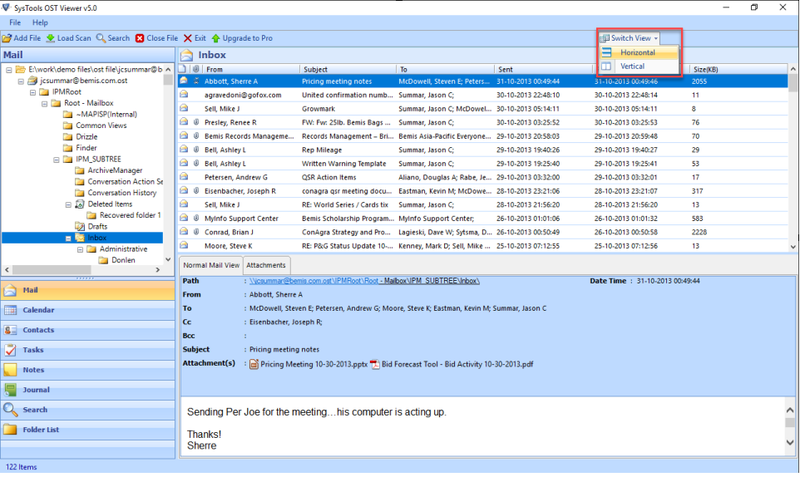 View OST File Emails, Contacts Details, Journals, Calendars, Tasks and Notes that you have saved. View emails from different OST files and folders under single navigation panel. In-Depth Email analysis using the 8 different tabs that are designed to serve unique task. 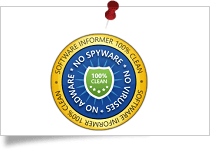 Free OST Viewer software can also be used for forensic analysis purpose. The software is simple to use, free to download and run on minimum hardware resources. Comes with 32 & 64 bit OST file Support. View normal or corrupt OST files. View password protected OST files. View Exchange files without Microsoft Outlook platform. maintains data integrity of the Outlook files. When emails are configured with the MS Exchange Server then all the information related to your email id gets stored in .ost format. The purpose of this OST file is to create an offline version of the data that exist on the server that is viewable to the user even if there is no connectivity with the exchange server. Basically, OST file makes it possible for the user to work offline when the connectivity is not there. Additionally, all the changes made by the user are synchronized automatically when the connectivity is regained. Download free OST File Viewer software to easily open and read the content of OST files. The application displays the data of OST files without connecting to Microsoft Exchange Server and help you to view Offline OST Files with associated attachments. You can preview the email messages, contacts, calendar items, notes, etc. In addition to this, you can also view information such as the date of the message, who sent it, who received it, etc. Along with normal OST files, the OST file Viewer also displays the contents of corrupted and password protected OST files. The OST Viewer freeware works great on all the versions of Windows operating systems such as 8, 7, XP, Vista and 98. An OST file is an offline folder file in Microsoft Outlook. With the help of these offline folders, users work offline and then synchronize the changes with the exchange server when they connect to the internet. OST mail viewer easily extracts information from the above defined OST files without having Microsoft Outlook installed. Using this software, you can preview all the contents available within your OST file. The software will enable user to perform extensive research and analysis on the OST data. Applying the search query parameters will enable to retrieve back only the relevant information from the data and after that the targeted email can be further analyzed using the various tab provided (e.g. Hex Analysis). OST Viewer is a standalone tool to read OST file emails and easily open OST file attachments, contacts, calendar, tasks, notes, journal. The OST file reader is designed to help a user to view normal, corrupt, password protected or encrypted OST file in easy and secure way. This software does not require connectivity with Exchange Server to read OST file. Free download and install the application in any Windows OS including 10, 8.1, 8, etc. 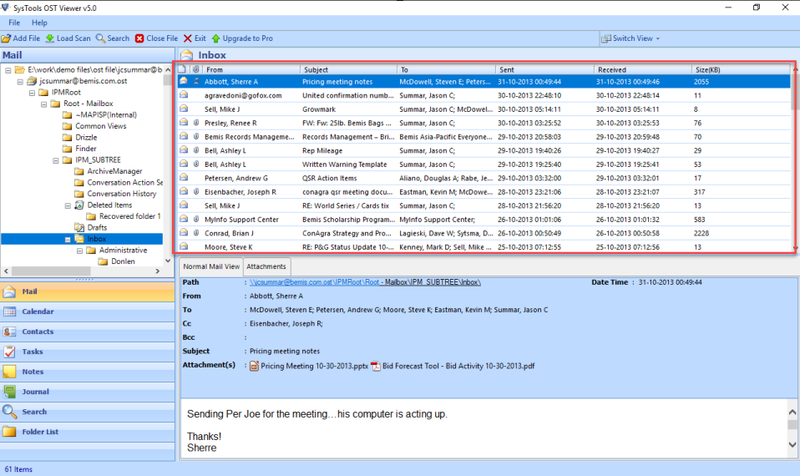 The OST file (Offline Storage Table) created by MS Exchange Server and contains crucial information such as email details, appointment related data, task, notes among other information. 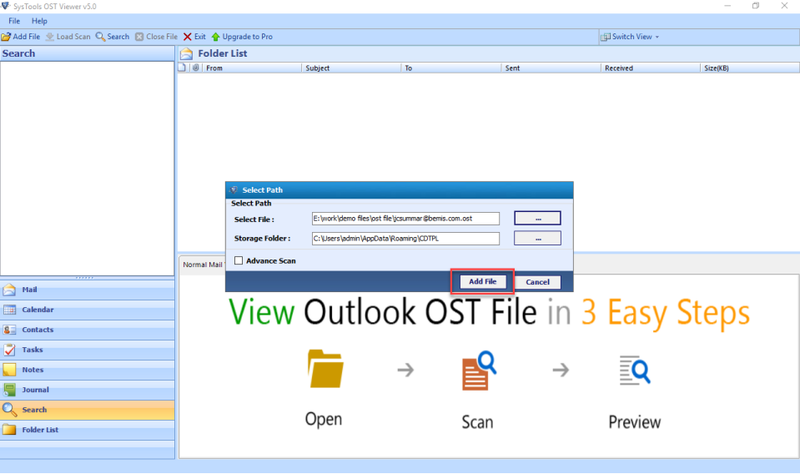 To view OST file a user need to have supportive application such as Outlook, Exchange Server connectivity. The best OST reader tool allows a user to open OST file without Outlook or Exchange Server connectivity with all important information. Unique OST reader application that lets a user to extracts Outlook OST files without having any password or username details of the mailbox. A perfect OST viewer tool for the forensic email investigator to open OST file with multiple view option like Normal, Properties & Attachments. The utility makes easy for the users to search for a particular OST file among various file with the help of Advanced Search Option. Moreover, the user can also apply filtered searching which permits the user to search OST file more accurately. The user can implement filters such as To, Bcc etc. for searching OST emails. One can also make use of operators such as AND/OR to make search more precise. In order to take benefits of advanced features of OST Viewer, the user can upgrade to PRO and PRO + version. With these versions, one can easily examine OST file and export it into the different file format. One can easily upgrade to PRO/PRO + version directly from the software interface. 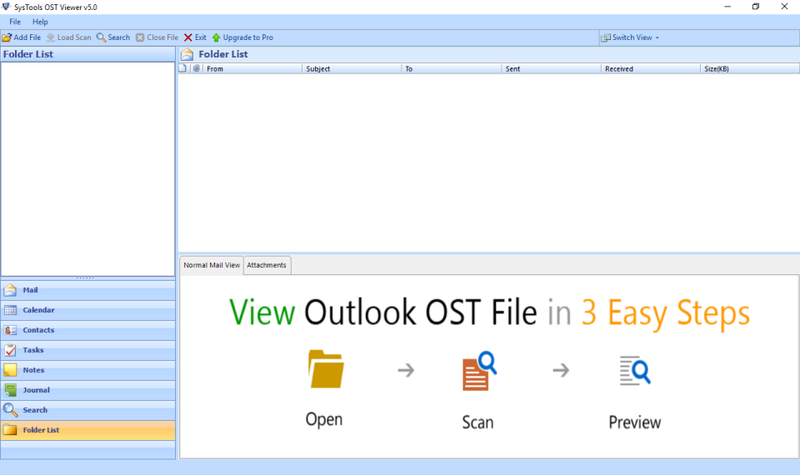 Free OST Viewer only preview Outlook Emails with Attachments, Upgrade to Outlook OST File Viewer Pro for Advance Search Option & Export OST Emails into PDF Format. Will the software work without MS Outlook or Exchange Server Environment? Yes, the OST file viewer software is not dependent on the outlook application or the exchange server environment and works great without them. Is this OST Viewer software completely free? Yes, the OST reader tool is free and can be used on unlimited machine as long as the usage falls within our fair usage policy. Can I use the software on Windows 8 machine? Yes, the OST Viewer software is compatible with all the versions of Windows operating system (10, 8.1, 8, XP, Vista, etc) and works great with them. Can I view password protected files using this freeware? Yes, the OST file reader software provides you with the preview of normal, corrupted as well as password protected files. Does the software provide the preview of corrupt OST file? Yes, the utility allows the user to scan corrupt OST file with Advanced Scanning option. After that, the user can view and examine the OST file. Can I view OST file contacts and notes via using OST Viewer? Yes, you can easily view and analyze OST file email, contacts, calendar, tasks, notes with the help of the utility. FreeViewer PST Viewer Tool helps user to open Microsoft Outlook PST file with attachments without having Outlook environment.